United manager Alex Smith made one change to his starting 11 from the previous week's 1-0 home win over Motherwell with winger Jim Paterson reclaiming a spot in place of injured skipper Danny Griffin. Jamie McCunnie returned from suspension but had to settle for a place on the subs bench, due to the form of fellow kid Stuart Duff in his place. 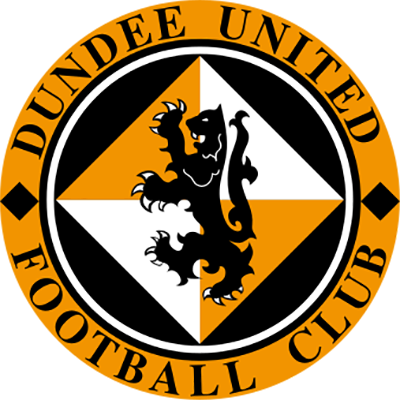 With an average age of just 23, it was a very youthful United side for the final Dundee Derby of the season. The Terrors started the game on the attack and, predictably, Charlie Miller was fouled in the opening seconds. Having scored twice against Dundee already this season it was clear that the home side had identified him as United's danger man. On four minutes Rae had a chance to shoot inside the box but Gallacher easily gathered his weak effort. Seconds later, Lilley shot well wide at the other end from a very tight angle on the left. On six minutes Gallacher had a moment of madness: attempting to control a Jim Lauchlan back pass outside his box before mishitting his clearance straight to the feet of Juan Sara. The striker strode past Duff and hit an effort towards goal but Gallacher redeemed himself and blocked the effort for a corner with his legs. With 16 minutes gone, Rae released Artero on the right but his cross was just too high for Milne at the back post. Seconds later United were provided with an excellent opportunity to open the scoring when Wilkie gave away a free-kick just outside his own area after fouling Steven Thompson. From the set-piece Lilley drove a powerful effort towards goal but it was straight at Speroni who dealt with it comfortably. With 27 minutes on the clock Thompson headed a cross from Aljofree into the path of strike partner Lilley but Speroni handled well to thwart the striker yet again. United were now starting to take more of a grip on proceedings with the Dundee defence looking under increasing pressure. On 35 minutes United won their first corner but Miller’s kick was headed well over by Lilley. 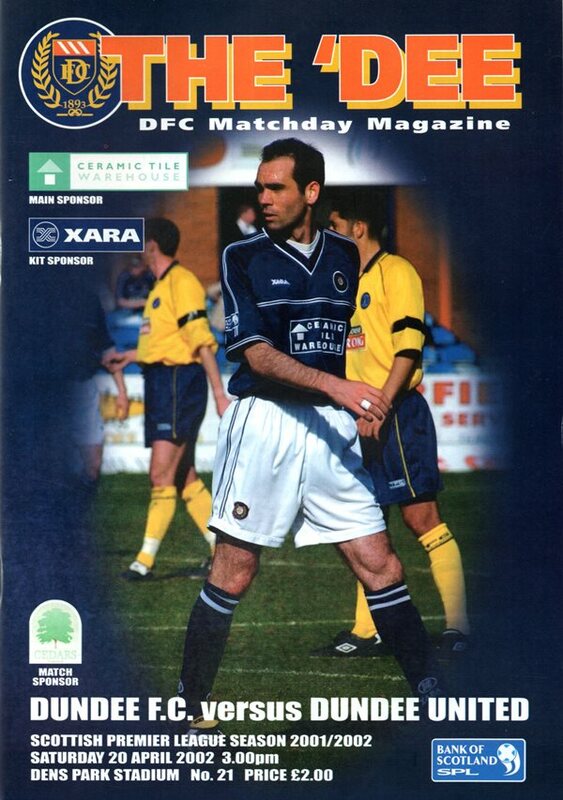 Four minutes later United deservedly went into the lead and it was all thanks to a moment of brilliance from Charlie Miller: controlling the ball well after a poor headed clearance and lifting it over the Dundee defence into the path of Jim Paterson. Speroni got a hand to Paterson's driven shot across goal but it cannoned off the helpless Lee Wilkie into his own net - sending the Arabs behind the goal wild in celebration. The goal was later awarded to Jim Paterson although Speroni appeared to have saved his effort before it hit Wilkie. In any case that goal saw United 1-0 up at the interval. At the start of the second half Dundee went straight on the attack and were unlucky not to be awarded a penalty kick on 46 minutes. Sara tried to flick the ball over the head of Jim Lauchlan and the United defender clearly blocked it with his arm - perhaps unintentionally. Either way the referee saw nothing in it and waved play on. A great United move involving Miller, Lilley and Aljofree almost created a chance for Thompson in the 58th minute but the Scotland international striker just failed to get on the end of the latter's cross and the ball was gathered gratefully by Speroni. On 62 minutes Lee Wilkie made a superb last ditch tackle to prevent Lilley a clear run-in on goal which surely would have seen United double their lead. A minute later Thompson fired just wide when well-positioned on the right hand side of the box. Miller was pulling the strings for Alex Smith's men in midfield despite the best efforts of the home side to kick him off the pitch. He played Venetis into the box on 74 minutes but the Greek midfielder shot straight at the keeper when he ought to have done better. With 78 minutes gone the aforementioned Venetis flicked on a Gallacher goal kick to Lilley but he miscued his effort wide of the target. 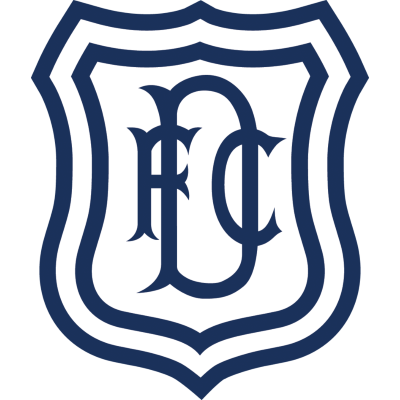 Dundee however were not out of this game yet and the Dark Blues won a free kick on the edge of the box with only 10 minutes of the match remaining. To the relief of the United fans behind the goal Carranza wasted the opportunity - firing wide of the target. With only minutes remaining, Alex Smith freshened things up with the introduction of another two of his promising youngsters with McConalogue and O’Donnell coming on to replace Lilley and Venetis. United played out time very comfortably to claim the three points and secure the city bragging rights having gone the whole season without a defeat to their neighbours.